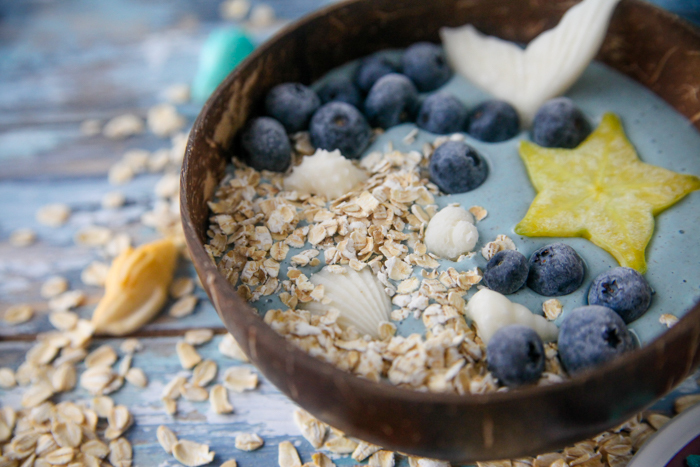 Y’all know I’ve been loving the creative smoothie bowl trends on the Internet. I just had to have some fun with the Mermaid theme! 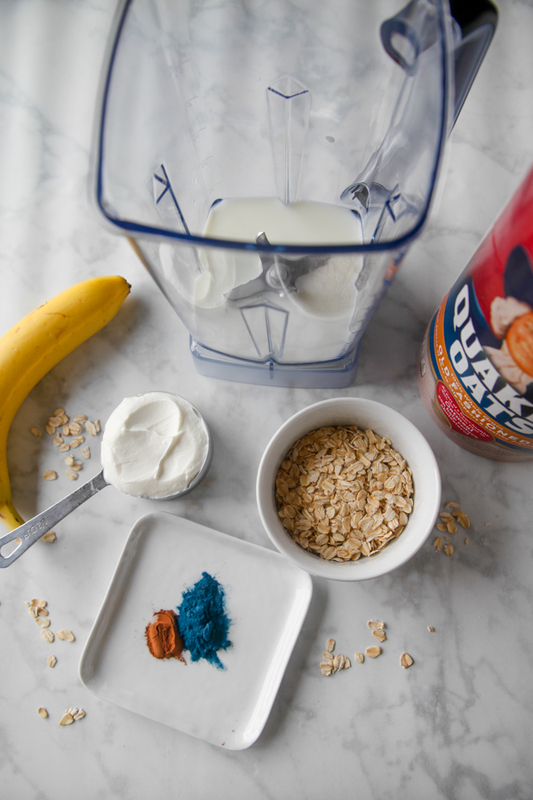 The base is a basic Dough Boy Smoothie, which is overnight oats using Quaker Old Fashioned Rolled Oats blended into a smoothie the next morning. 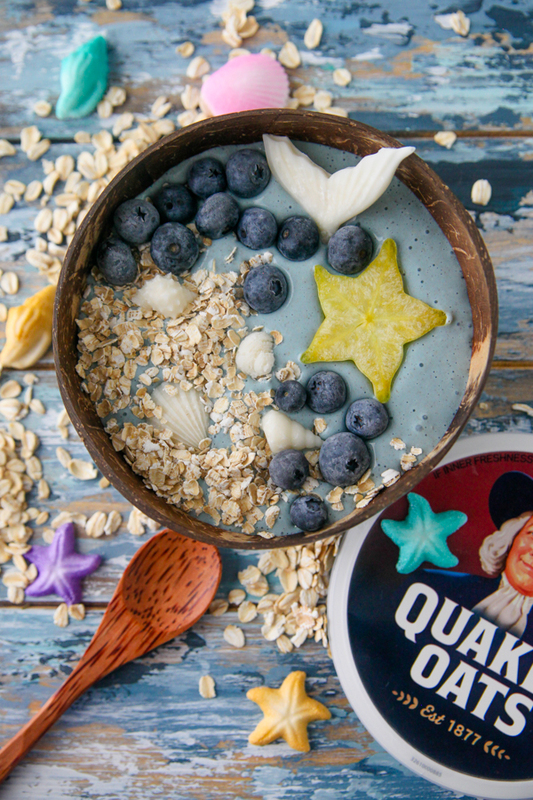 The flavor of the soaked oats gives the smoothie a doughy taste, and the texture is quite thick, so you’ll want to enjoy with a bowl and spoon instead of a straw! And the toppings are completely optional but so much fun! 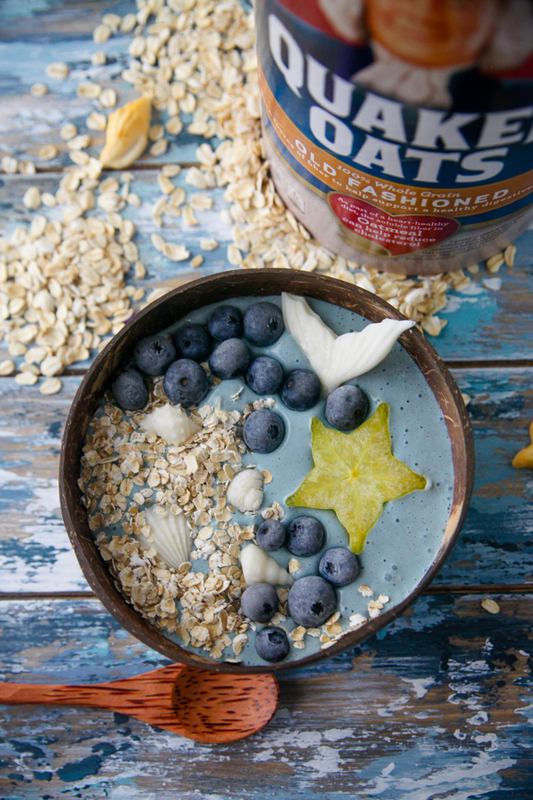 For decoration and a beachy visual effect, mine included coconut butter shells and tail, star fruit, Quaker Quick 1-Minute Oats for the “beach” and blueberry waves, all served in a coconut shell bowl. 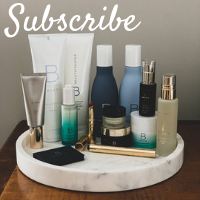 More details on these below! 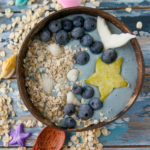 Oats are my favorite breakfast ingredient for a million reasons, and their unique nutrition profile is always a plus. 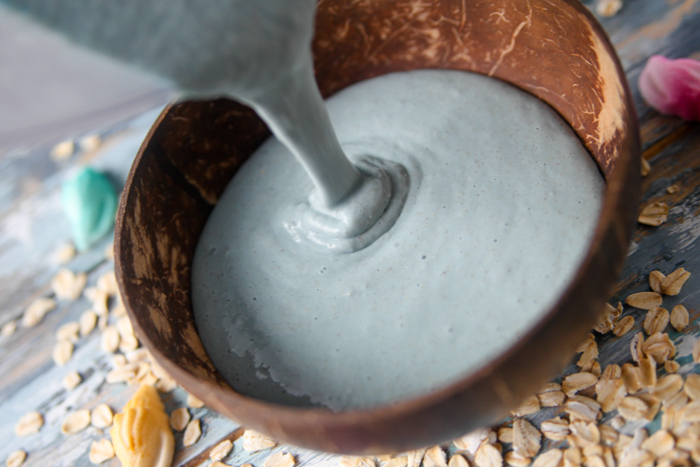 Every half-cup serving of raw oats is a good source of fiber and can help support a healthy digestive system. Dietary fiber is a shortfall nutrient, which means most people aren’t getting the recommended amount. Fiber from a diet rich in grains, fruits and vegetables helps keep things moving through the digestive tract. Experts recommend eating at least 25 to 30 grams of fiber a day from a variety of grains, fruits and vegetables to help support a healthy digestive system. A serving of oats (1/2 a cup) provides 4 grams of fiber. Give them a quick whirl to blend before placing in the fridge overnight. In the morning, whirl around once more before pouring into your bowl and topping away! For the beachy decorations, I made the shells and mermaid tail out of melted coconut butter and poured into a silicone mold to freeze. Note that these will raise the saturated fat in the recipe, so that’s something to be mindful of if you are watching your saturated fat intake; or, perhaps use just as a garnish for visual effect. The star fruit is thinly sliced and frozen. The blueberries are fresh berries that have been frozen in an air-tight container, and thaw to give them a nice frosted look after a few minutes out of the freezer. And of course oats, both quick and rolled, make great sand! Also consider using popped amaranth! 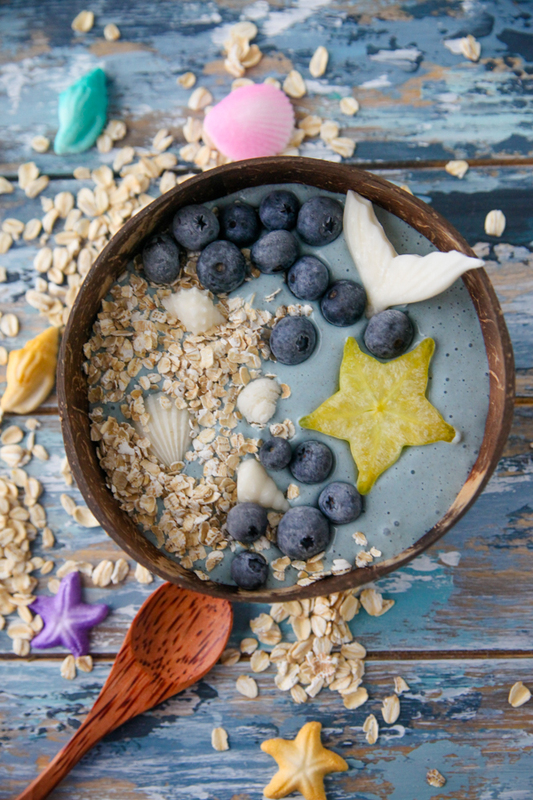 Note: adding additional toppings affects the nutritional profile of the smoothie – please be cognizant of that when you’re making your own smoothie bowl! 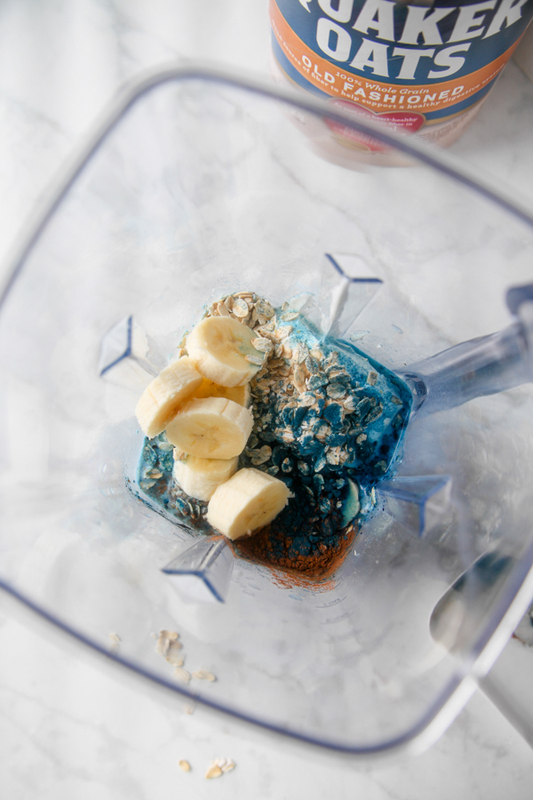 Combine all smoothie ingredients in a blender and mix. Chill and soak in the fridge overnight. In the morning, blend once more and pour into bowl. 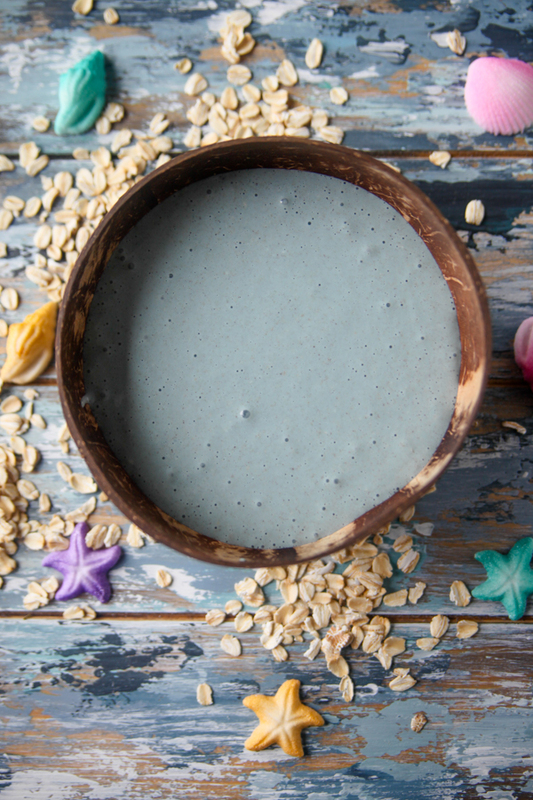 Does the spirulina add any flavor to the oats or just provide that awesome color? Also, do you add anything to the cocoa butter before putting it in the molds – i.e. vanilla? Thank you!!! Bwahaha. Love a good pun. 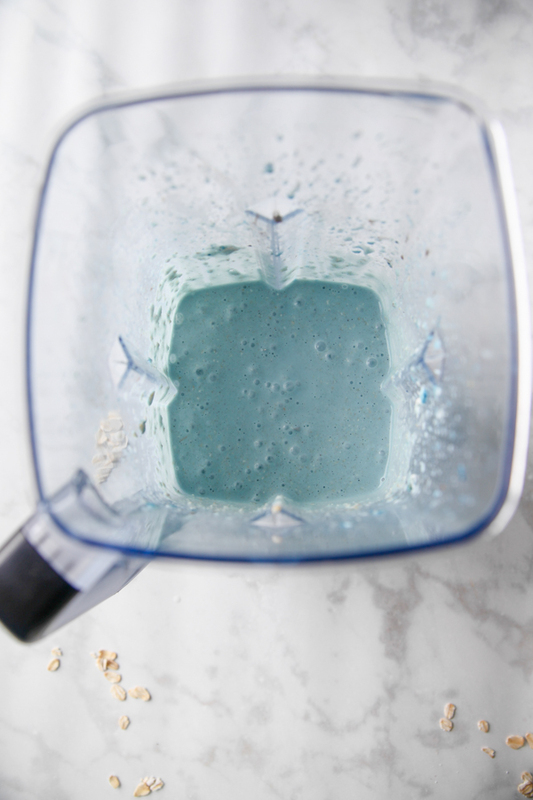 You can’t taste the spirulina in this mixture, but if you are sensitive to it go lighter on the blue! 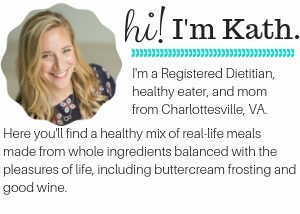 And I didn’t add anything to the coconut butter because I find it to be on the sweeter side but you definitely could add a little sweetener or flavor or use one of the flavored coconut butters like Nikki’s! Congrats on baby Birch!! Am I crazy or is this post a repeat? You are so very creative, Kath!! 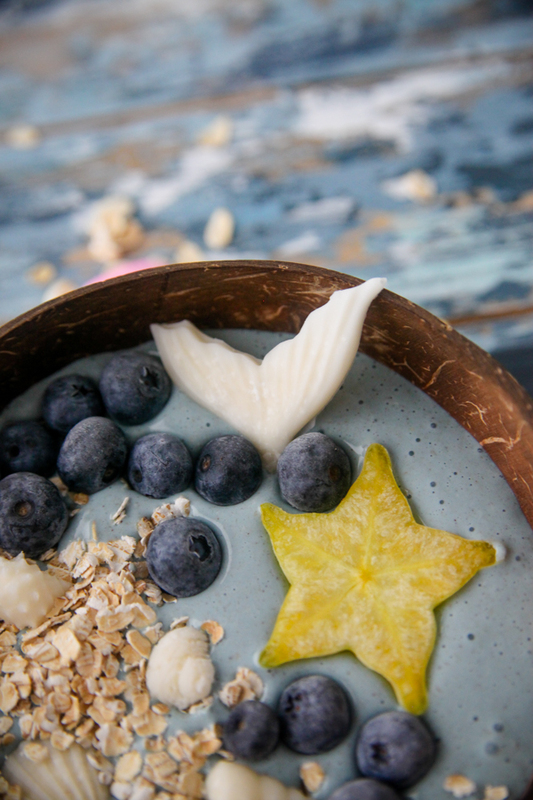 This bowl is as gorgeous as it sounds delicious. Awesome job! 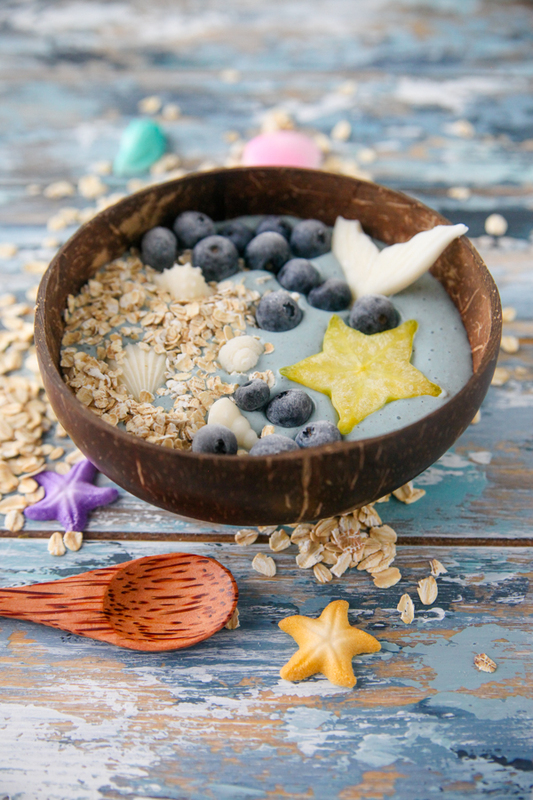 My daughter loves mermaids and smoothies so this could be a great way to get her to eat oatmeal that I haven’t baked into a bar! So pretty! !